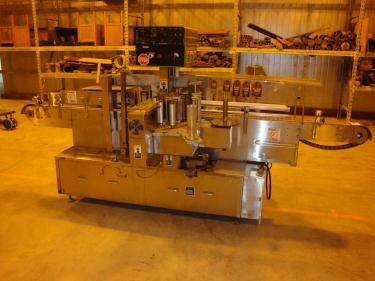 New Jersey Model 311 pressure sensitive labeler. Labeler has front and back wrap around capabilities. Unit has 4.5" wide servo driven conveyor. Stainless steel skin with carbon still frame. Serial #311KRDBP3-551-S90A4000. Requires 230 vac 1 ph electrical and pneumatic supplies. Good Condition.